Every day millions of Londoners see the imagination, creativity and genius of Harry Beck, yet few know who he is. 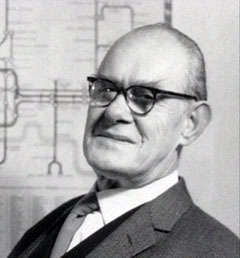 Harry Beck created one of the most iconic images of London back in 1931 when, as an engineering draftsman in the signalling office at London Underground, he mapped out the expanding train network under the city. The first proper London Underground Map was born. Today, when you travel north on the Northern Line to Finchley Central you will see a plaque to Harry at the station closest to his heart (and house). The relevance of this was for once I was travelling to a game by tube. In fact I was travelling on the very same Northern Line to the very same Finchley Central station where Beck had travelled from everyday and where he got his inspiration. Whilst Finchley cannot boast a football team of its own since 1991, they form half of the team today known as Wingate & Finchley who are enjoying life in their first season in the Ryman Premier League. And that was where I was heading for a rare Tuesday night game. Work commitments mean that midweek games are a rarity these days for me but having never visited the Harry Abrahams Stadium this was too good an opportunity to miss. On Saturday Lewes had finally got the win that their recent play had deserved. An air of frustration lifted across the ground and all of a sudden thoughts once again turned to the play off possibilities. A win in this game in hand would take the Rooks back within a couple of points of the hallowed play off positions. But it would be a tough game. Wingate & Finchley have enjoyed life in the last couple of years winning the Ryman League Cup, London Senior Cup and then the Ryman League South play offs to reach the Premier League. Impressive stuff. Growing up in the 1980’s Finchley was famous in my mind for two things. Firstly, it was the constituency of Maggie Thatcher, the then leader of the Tory party. She won the seat in back in 1958 and served the community for nearly forty years, predominantly as a back-bencher, then as leader of the opposition and finally as potentially the most powerful and feared woman in the world as Prime Minister. Many mocked and despised her but many more cannot do anything but admire and respect what she did – especially as we remember the Labour-inspired mess we are in today. However, during her time as the MP for Finchley she never actually lived in the area, preferring to reside saarf of the river in Dulwich. Today few would remember what she did for the area. But as I arrived in Finchley I doffed my proverbial cap to her. Every year a university in Finchley welcomes over 10,000 students from over a hundred countries. Nothing unusual about that you would think. But the courses it offers are quite unique. 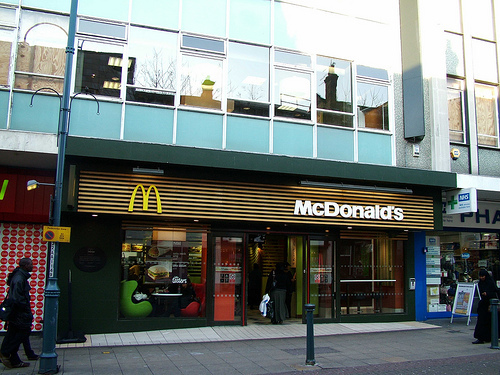 Over over the High Road in East Finchley is the UK HQ of McDonalds. And here every year a new intake of students enroll in the Hamburger University. Education is a big thing within the fast food giant – after all it takes years of practice to deliver that “would you like an apple pie with that” in just the right way. All joking aside, the company has invested significantly in its programme and offers courses in more vocational subjects as well as those specifically about burgers. Fact for you – for my birthday in 1975 I had a party at the first McDonalds opened in the UK in Woolwich. Eighteen pence would have got you a hamburger back then whilst for fifty pence you could have indulged in a Big Boy (the former name of a Big Mac) which really doesn’t sound right when you write it down. Iron Ladies and Burger shots aside it was time for some football. 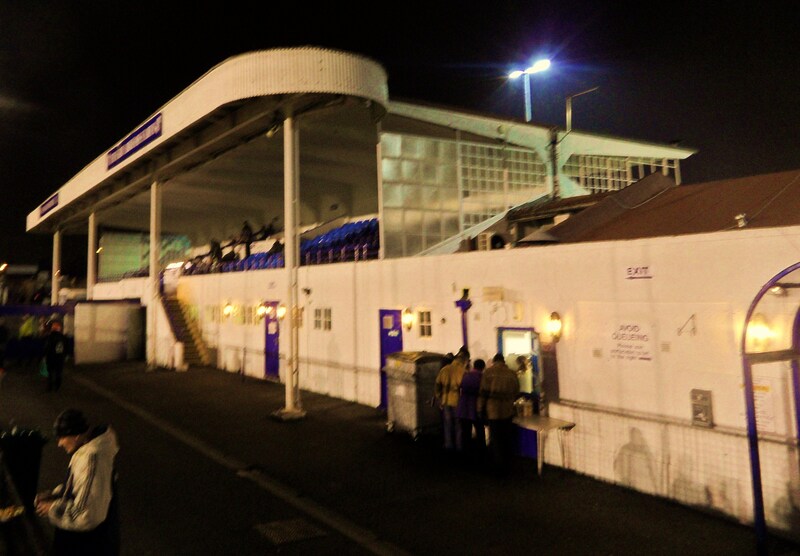 One of the other reasons for wanting to make the pilgrimage to N12 was to see the listed Art-Deco grandstand that is Wingate & Finchley’s main stand. Built in 1930 as a two-sided affair so that it offered seated accommodation for those watching football on one side and rugby on the others. In an age where functionality and cost dominate football grounds it would be a refreshing change to see such a work of art. My only concern would whether there would be anyone there. Crowds haven’t exactly flocked to Summers Lane this season despite the excellent work by Mike Bayly and the team there. Last week’s official crowd of 55 against East Thurrock United was their lowest in the league this season. 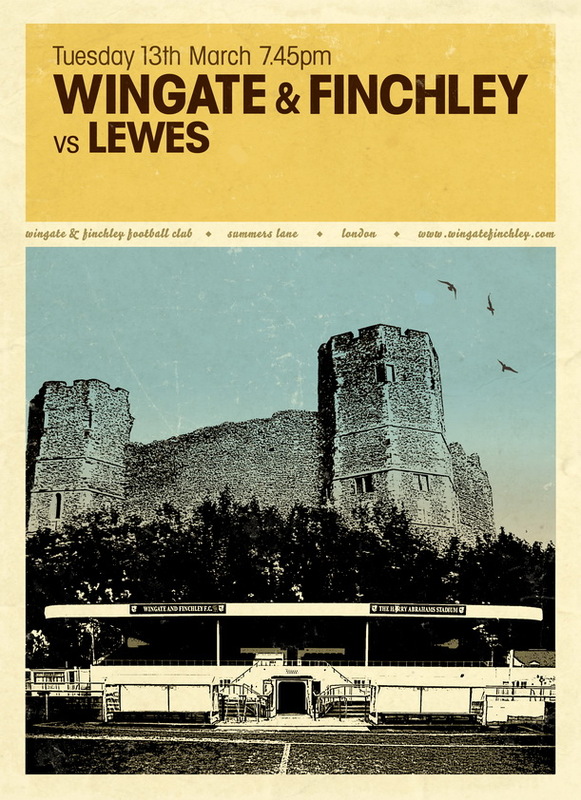 But with the Lewes Lunatic Fringe mostly present for this game I was sure that the place would be rocking. This was one of the easier ones for me to get to with a shop hop, skip and a jump around the North Circular and by 7pm I was being ushered into the ground by Mr Bayly himself. What a lovely ground it is too. A magnificent art-deco stand set back from the pitch, a lovely hedge along one side and even some palm trees – after all who would have thought Finchley would be so tropical in March. After a welcome pint in the club bar we took our place behind the goal, next to the tennis court (when was the last time you could play tennis and watch the game at the same time? ), ready for the rise of the Rooks. Wingate & Finchley 1 Lewes 2 – Tuesday 13th March 2012 – The Harry Abrahams Stadium So after waiting 3 months for a win, another comes along within 72 hours. Just like those London buses eh? Well not really. The team has been playing well for the past month or so. A point from the game against East Thurrock United should have been three if it wasn’t for the ridiculous sending off early in the game of Jack Walder. Two other home games saw last-minute equalisers against Lewes resulting in four dropped points. But the facts are the facts and this was our first back-to-back winning sequence since December. It was a game of two halves, with Lewes simply coming out stronger in the second half than their hosts and taking all three points with an assured performance. The first half started with Wingate & Finchley on top from the first whistle and were lucky not to be one up within the first minute when Matt Ingram was forced to make a great save from Laird. Ingram was called into action again five minutes later when Laird again combined well with Leon Smith. It did seem for the first half an hour that this was the Lewes of old, snoozing at the back and passes not finding the feet of their colleagues. Wingate looked more and more dangerous with Ingram being far the busier keeper. After twenty-five minutes Lewis Jones smashed a shot against the post in a move that should have been a wake up call for Lewes but alas it wasn’t. Just three minutes later Leon Smith outpaced Chris Breach and slammed the ball home to give the home side a deserved lead. As the teams trooped off for half time you could see that Lewes manager wasn’t happy. A very pleasant half time was spent in the Wingate & Finchley boardroom, complete with an array of chocolate biscuits that would put most Mum’s to shame. The club certainly demonstrates what can be done with some hard work, vision, willing volunteers and above all a desire to provide hospitality. Nothing was too much trouble and smiles were the order of the day. Perhaps it was because they were winning…time would tell. Whatever Wormull had said at half time it had the desired effect. Lewes tore into the home side from the get-go and began to dominate the midfield, slowly pushing the Wingate back four backwards. 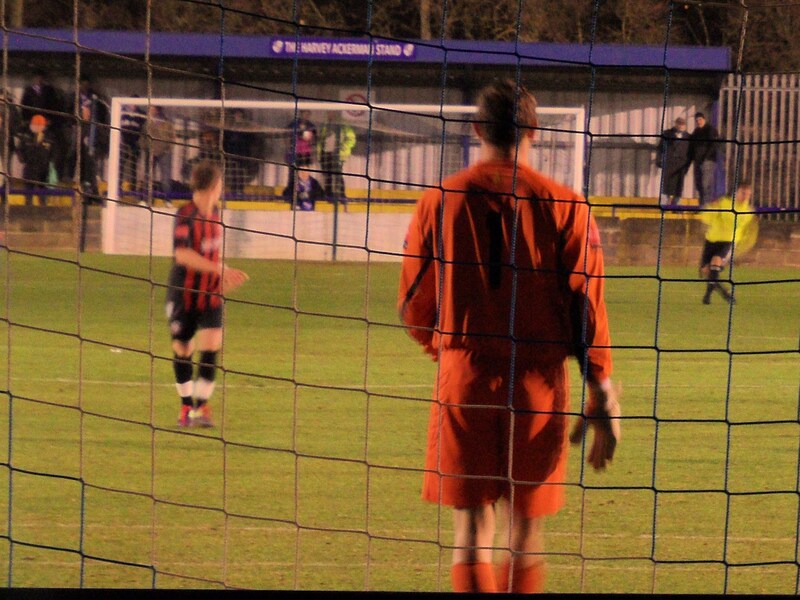 The equaliser, when it came, was from the penalty spot when Kieron Street brought down Jack Walder. There was no complaining about the kick – it was one of those where Walder could do nothing apart from being fouled and he didn’t make a song and dance about it. Up stepped Booth and he slotted it home. Wormull made a couple of changes and sensed they were their for the taking and threw Ian Draycott and Christian Nanetti into the game, essentially changing the formation to a 4-1-3-2 with Nathan Crabb, having an outstanding game playing just behind Booth and Draycott. Draycott had only been on the pitch for three minutes before he “sniffed” the ball out in the area, turned and sent a slightly miss hit shot into the corner of the net. Two-one. Lewes could have shut up shop but instead they went for more. Somner, Breach and Robinson all had chances towards the end, and even those “last-minute squeeky bum” moments weren’t as bad as we had seen before. Full time, generous applause from the 20 or so Lewes fans and back into the bar for a well deserved drink. We ended the evening back in the boardroom where pie, mash and some lovely onion gravy was the order of the day. The smiles on the faces of the Wingate officials was still there despite the defeat. This was a football club who existed because they love football. 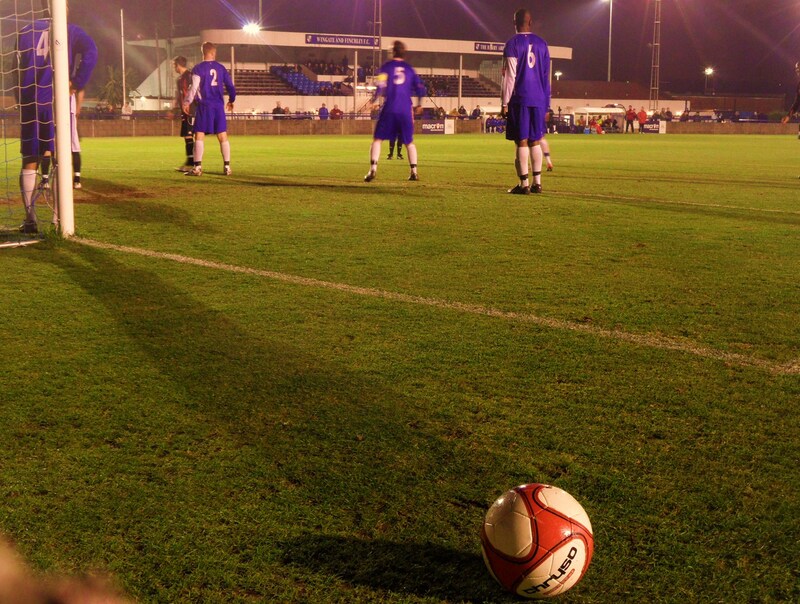 The surroundings underlined that and long may clubs like Wingate & Finchley exist. You could just image Harry Beck sitting in the corner, pipe in his mouth, content with life and with how his local team were developing.